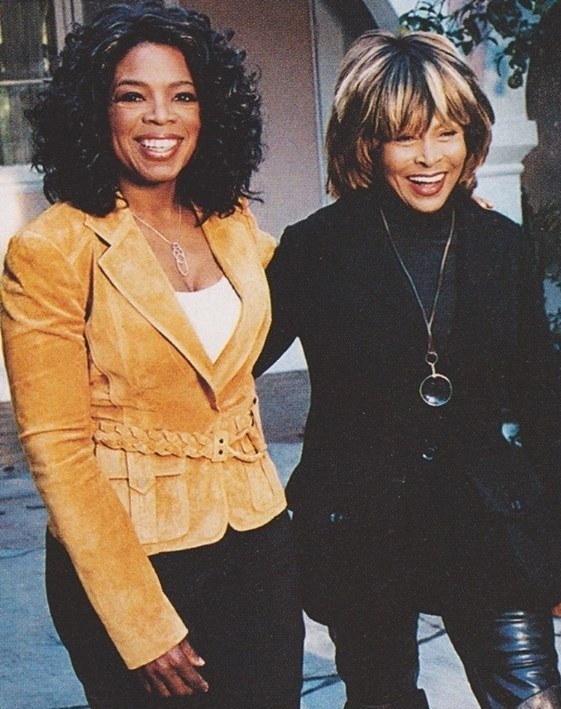 Yesterday, we learned from Oprah’s Twitter that Tina Turner (74) had recently recovered from “a bad flu” that she contracted a few weeks ago in Zurich. The living legend is doing great so that is a first and happy news! Moreover we all look forward to hear more from Tina with the upcoming release of ‘Beyond, Love Within’. Now there’s some other releases coming! Nothing to go crazy about (yet) but it still has to be noticed! Tina Turner concerts arrives on SD BluRay disc (NOT FullHD): One Last Time 2000 & Celebrate 1999 on 1 disc. Pre-order on Amazon. Bob Gruen’s LP/DVD version of Ike & Tina Turner ‘On The Road’ is almost out of order… Order it on Amazon before its too late! A re edition of an Ike & Tina Turner ‘Best Of’ Lp with a very interesting tracklist. Order it on Amazon! And finally the ‘Love Songs’ album is out now around the world. Order it via Amazon.com. Isn’t that Ike and Tina compilation just a combination of tracks from The Hunter and Outta Season? Yep… But it’s on vinyl now! Hmmm… oh wait it was on vinyl in 1968!! Oh well! I am very very glad to hear Tina is alright! 🙂 May she rest to her hearts content. I am also down with the flu, so I guess we are sisters in that… well I’m a man so…. Anyways Tina I wish you a fabulous recovery! Full on LOVE and RESPECT from TOKYO!! So thankful that Tina is doing well and recovering from her illness. All the best Tina and hope you have a full and healthy recovery. Oprah made her fortune in TV yet she still holds the racism car. What does that have to do with this news? Also, huh???!!!! For her, this flu, is like a vitamin, when she got better, she will rise as a fennix to show the planet where she came from. She must drink watter and thats all. No flu can match the queen! Two more meditation and will be fine! We love you! And she is pure love too. Where love is, heath is too! Long live to the queen of music! Love Tina. She must feel the sound of a good guittar player and delivery power vocals at home like a crazy girl and bring that to energy to her soul for fun, to got better even faster! Rest is not good for her heath! She need the excitng moments and and lots of fun! me alegra saber que esta bien!!!!!!!!!!!!!!!!!!!!!! Is the “Love Songs” album available in stores like walmart and target? I can not believe that Tina is now 74. wow. Glad to hear that Tina is getting over her Flu bout. Tina is my Husband best female vocal singer. It was only through him that I became a big fan of Tina’s and have been since 1988 when I first met my husband.